The 25Amp Smart Box can be used to automate a single switch that operates a high power appliance. 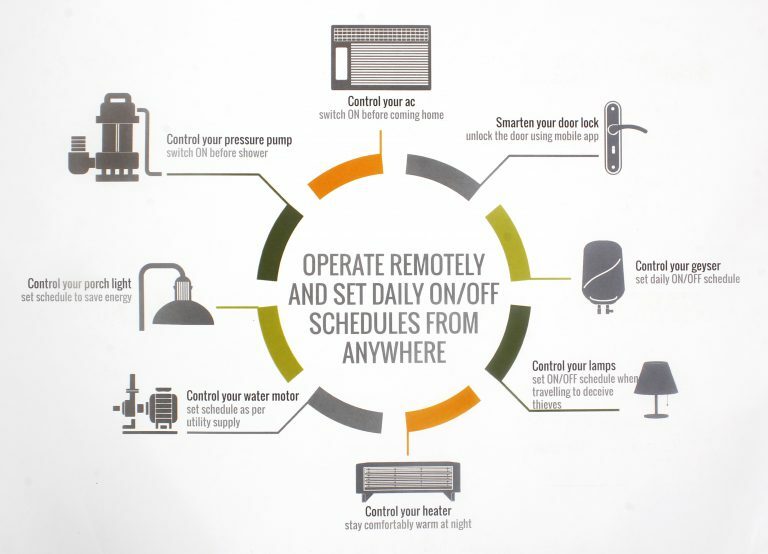 Connect it to your Oakter smart home hub and schedule, time and remotely turn your devices ON and OFF. You can continue to use your switch manually. 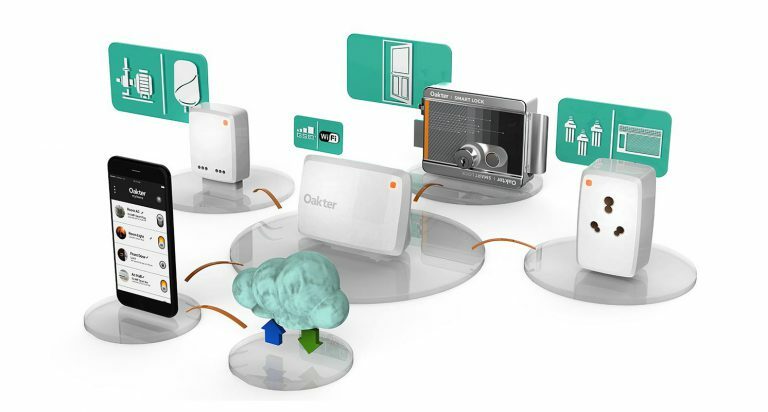 You can Control all your appliances at home with just a touch of a button using the Oakter 25Amp Leaf Smart Box. 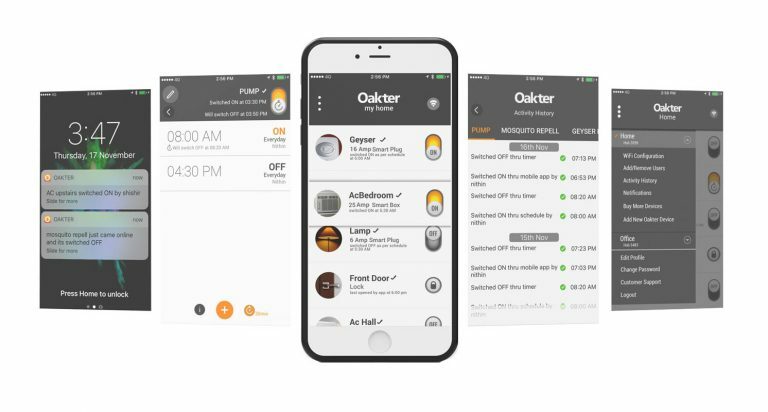 This device controls all your devices and appliances wirelessly and can be configured using the Oakter Mobile application. The Oakter 25Amp Leaf Smart Box has an ABS enclosure material that makes it highly durable and resistant against certain levels of accidents and mishandlings. The plastic outer body also makes it a good insulator. The electrical contacts is of brass which ensures maximum conductivity, thereby making it highly efficient. The electrical connection is wire-connected and screw fastened which gives it a sturdy grip on the wall that it is mounted on.